Learn how to play Donovan – Guinevere note note-for-note on guitar. 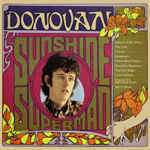 The lesson teaches Donovan’s acoustic guitar part as played on the original album version of the song. That’s strange. I’m on the page now and I can play it as normal. Maybe refresh the page and try again?